Kid's Factory - children's beds that are so dreamy, they'll want to go to bed early! Kid’s Factory – children’s beds that are so dreamy, they’ll want to go to bed early! After three children and close to sixteen years of putting children to bed, there’s one thing I know for sure. The more inviting you make their bed, the more willing they are to get in it – it’s sometimes really that simple. Click on through for some amazing bedspiration (I’m making it a word) from the talented crew at Kid’s Factory. 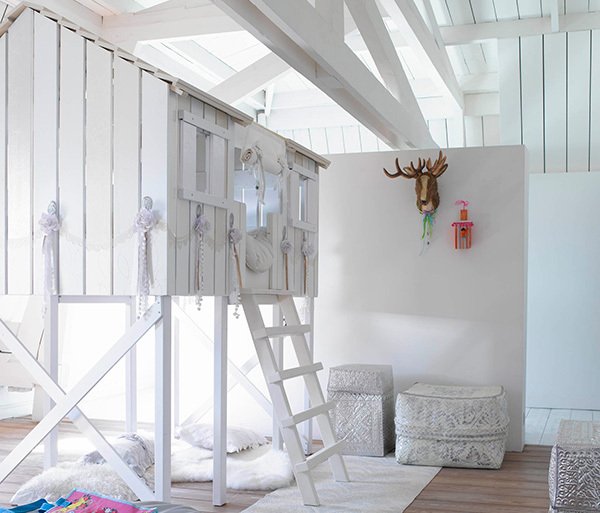 Hailing from the Netherlands is Kid’s Factory – the ultimate design crew in creating a fun, fantasy-like, dreamy space for your children to rest their (hopefully) sleepy heads. Be aware, Babyologists, that there is a language barrier that even trusty Google translator can’t help out much with, but don’t let that deter you – the amazing designs speak for themselves. 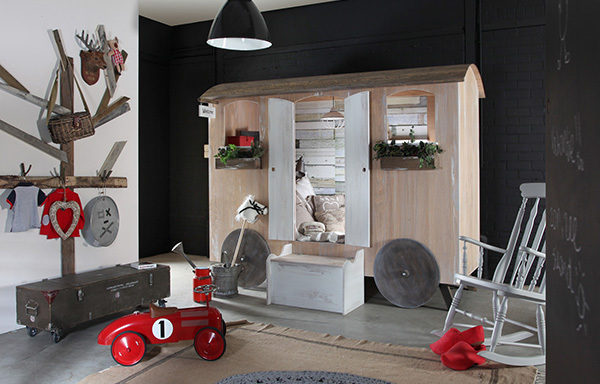 Giving a whole new meaning to the term ‘loft bed’, we adore the cubby house-like creation called Boomhut, available in an old weathered look or neat as a pin in glamorous white. Princess and the Pea anyone? 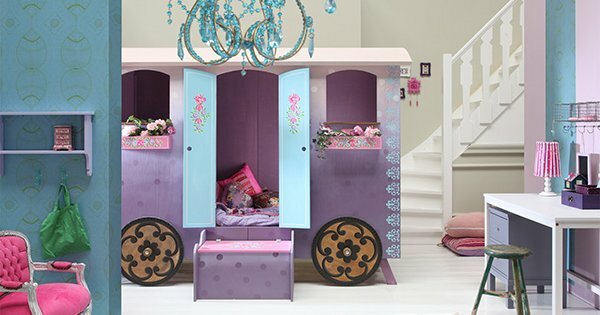 The Prinses bed is definitely fit for a princess and even two princesses at that, a bunk bed that can sleep two or morph into one very majestic bed for one! Complete with a quirky roof line, you can have split ventilation with the Strand bed roof (below) and we are crushing majorly on the louvre detail. But my heart lies with the Pipowagen. Oh yes it does, whether rustic (pictured below) or fancy (top of post). And you know, if it’s too difficult to make the bed – and isn’t it always a struggle – you can just close that ridiculously cute Pipowagen door and voila, instant neatness. While we over here in Australia aren’t likely to get in on any of this Dutch decor perfection, we can certainly gain inspiration from it and admire it from afar. Let us know in the comment field below if you’ve created anything similar for your children’s bedrooms – we’d love to hear from you. In the meantime, I’m going to try convincing the husband to bring our unused cubby house into the master bedroom and turn it into our bed. What do you think of my chances?